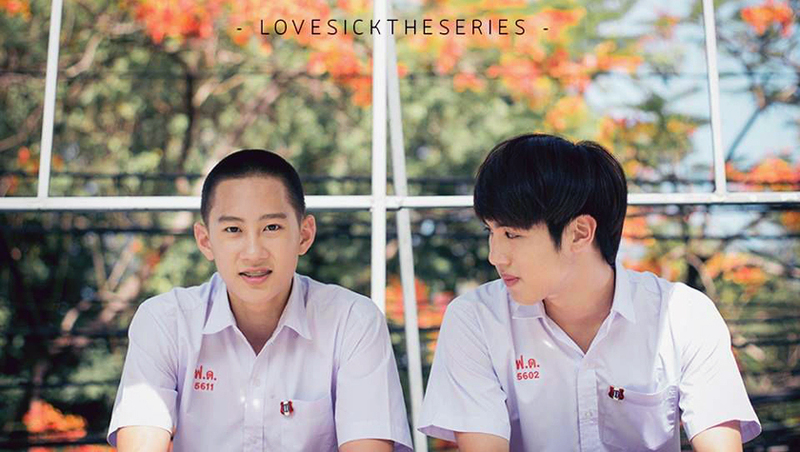 In this very special episode of the Kchat Jjigae Podcast, we’re joined by friends Xe and Molly In Kdramaland, where we will talk about, and squeee over, the Thai drama Love Sick: The Series. We’ll be talking season 1, what’s out so far of season 2, and the web book. If you’ve read the book and watched the drama—come and listen. If you haven’t—well you may want to watch first and then come back, as not only is it a super cute drama, but we are going to spoil the s*#t out of it. This episode is an experiment, so it’s different from the episodes we usually put out. Cherry and I have wanted to do this for a while, take a single drama or movie and talk about it at length (i.e. rip it apart, look at the pieces, and then reassemble). The format is a lot looser than usual, and as a result, I decided to not edit as I usually do, leaving the conversation almost as is. Listening again for the edit, I noticed we do have our fangirl glasses on, so it’s a lot of “I love it!” and “They are so adorable!” but we managed to get some more interesting bits in there as well. Phun has a girlfriend, but his father wants him to date his friend’s daughter. Phun’s little sister, Pang, is obsessed with boys’ love stories. Phun needs to convince Pang that he has a boyfriend so that she can help talk their father around the idea of dating his friend’s daughter. So he asked Noh to become his fake boyfriend in exchange for helping Noh raising funds for his music club. However, the two 17-year-old high school boys eventually fall in love after the deal brought them closer together. ~~ Based on the online Thai BL novel “LOVE SICK: The Chaotic Lives of Blue Shorts Guys” by INDRYTIMES. Season 2: Ongoing, 36 episodes planned. Let us know what you think! How did you feel about the show? The podcast? Are there dramas or movies you’d like for us do a podcast on? Great thanks to Kuda and her site KudaLakorn (her site is temporarily down, check below for a link to her Twitter account)—without you we would sadly be without this ship to sail upon. ETA: With recent maintenance issues on KudaLakorn’s site, we wanted to make sure people know she can also be found on Twitter, if you need updates and links to new episodes. After watching season 1 and now going into season 2 – I need a relationship chart. Photos, arrows, names and all. Sigh. Well now I want to do this! Cherry and I are on it! It does grow on you. I can’t stop talking about it. Sigh now I have one more drama to watch…. Mercy they are adorable! Although I do feel a bit like a perv to be squealing over TEENAGERS! Noh really is insanely adorable and perfectly cast! Well the good news is that most of the actors are over 18 in real life, except for Captain (aka Noh) and Min (aka Ohm’s boy toy). The bad news is…let’s be honest…we’re all squealing for their high school characters. How do i get over the language barrier. i love listening to the korean language but for thai all i hear is gibberish. lol maybe im dwelling on this too much but i just cant get over how their language sound. it makes the show seem not appealing.